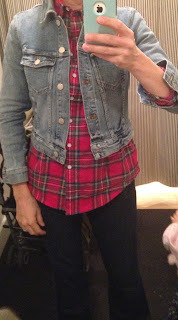 I've been looking for a good jean jacket that doesn't look too boxy and is a little distressed. I think this one is good! It's not really that cropped on me - hits just slightly below my waist and nips in which I think it very flattering. I wish it wasn't quite so distressed - I'm a little worried about a few of the "holes" becoming too big - but it looks pretty good. I really love the fit - I want to highlight my waist not camouflage it. It fits SMALL so you should definitely size up. This is the size small (I am usually XS sometimes XXS at Madewell) and it fits exactly. If you want some ease or the ability to layer a lot you may even want to go up two sizes. 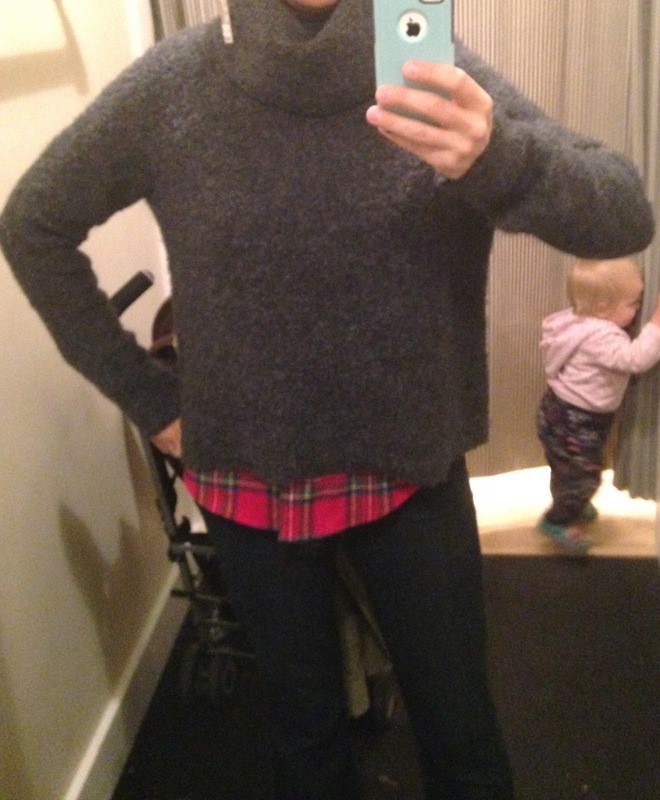 I love boucle - so warm and soft and cozy for winter. I like the cowl of this but wasn't thrilled with the cropped a-line shape of it. Wearing it over something long and fitted would be pretty cute though. Still waiting for a smaller size to pop back of this boucle cardigan. 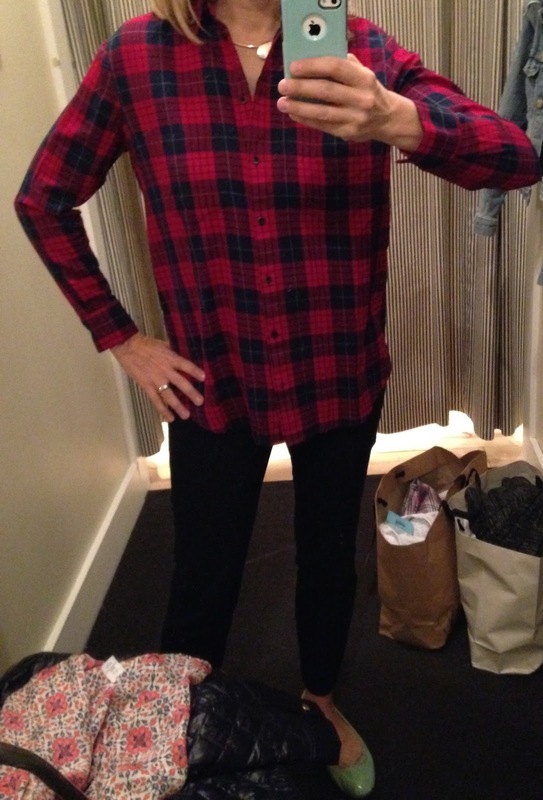 I tried it on and really liked it. Super warm and love the little double breasted button detail. Runs big. 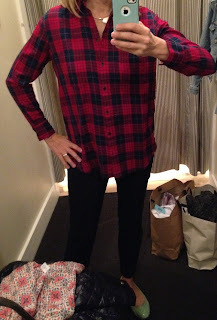 I find this shirt to be way more boxy then the ex-boyfriend shirts. 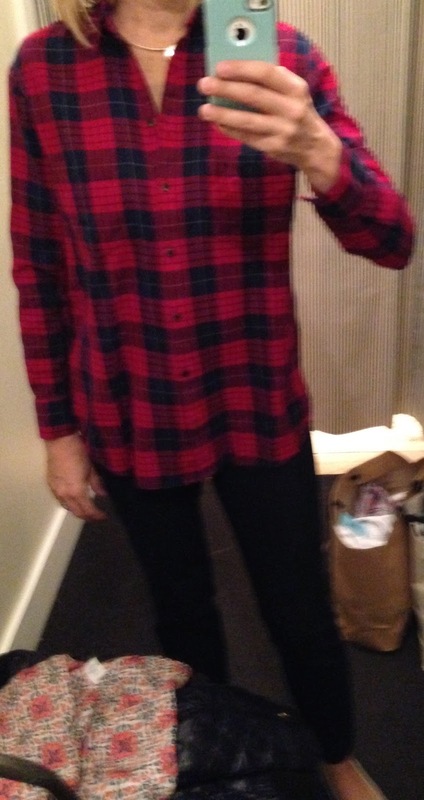 The colors are nice - navy not black - but almost looks like a buffalo plaid. Madewell does slouchy cool so well. Still think I prefer this one or this one.